The Lizard is the southernmost peninsula in Great Britain and a hot spot for locals and tourists on holiday alike. This area is unique from the rest of the country in many ways; from the moderate climate that may be the warmest in Britain to the unusual geographical features that are found in few locations besides this one. 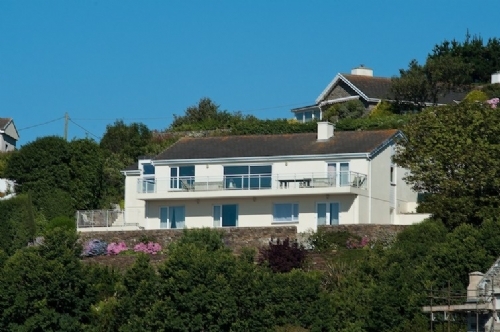 Visitors enjoy the Lizard peninsula because of the breathtaking views, delightful attractions and luxurious accommodations. 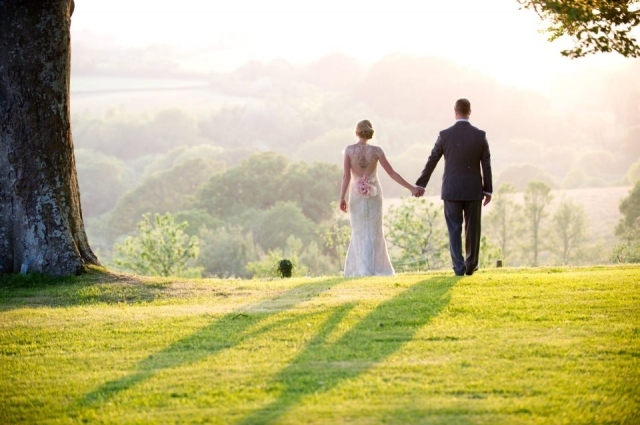 There is truly something for everyone in this region of Cornwall, whether you are a history buff, a lover of nature or prefer a more traditional holiday filled with amusement, recreation and relaxation. The feature that the Lizard peninsula may be known best for is the rock that is found here. Known as serpentine stone, this rock is found in few locations besides this particular peninsula. The beautiful green stones veined with hues of red and white were very popular during Victorian times and are still in high demand today. The stones are now made into jewelry and other trinkets that are sold in gift and craft shops throughout the area for tourists and locals alike to delight in. The other unique factor of the Lizard peninsula in Cornwall is the climate. This area may very well be the warmest spot in all of Britain, with clean, crisp air and plenty of glorious vegetation to enjoy. Because of the warm temperatures year round, visitors on holiday can enjoy color and greenery any time of the year. It is also the perfect spot for growing plenty of organic crops that can be enjoyed in the restaurants and hotels around the area. A combination of farm fresh produce and fish make for a delightful fare for any palate. While many choose to come to the Lizard peninsula for a holiday excursion, this is not your average tourist spot. The atmosphere is low key and laid back, with plenty of time to talk with the residents of the area and enjoy a host of relaxing activities. While there are many fun adventures to discover on this peninsula, there are also plenty of opportunities to kick back and enjoy the sights and sounds of this unique region. For those who don't like to miss a minute of the action, there is a plethora of things to do as well. The best thing to do on the Lizard peninsula is hang out on the beach. There are more beaches to explore in this single area than you will find time to do on your holiday. To ensure that your stay is comfortable, there is a wide choice of hotels, bed and breakfasts and self catering cottages to choose from. With so many choices, you are sure to find the perfect accommodations for your family to enjoy at night while you discover the many coves and bays during the day. Cadgwith Cove is a charming little fishing community with a fabulous beach at the center. You can take in the sights of the many crabbing boats shored up along the coast or swim and dive in the nearby waters. Parking is a short walk from the action, and there is a shop and café in the vicinity. Caertillian Cove is a bit rocky for sunbathers, but it is the perfect spot for bird watching and surfing. Housel Bay is a charming area for sight seeing and enjoying refreshments at the Housel Bay Hotel at the top of the cliffs. For a great family beach, Kennack Sands Beach on the Lizard peninsula cannot be beat. This shoreline is geologically interesting with plenty of sand for the whole clan to enjoy. This beach also hosts a café, gift shop and toilet facilities that make it perfect for kids and grownups alike. Another popular family beach is Polurrian Cove, which is about a ten minute walk from parking and offers a café for refreshments. Finally, Kynance Cove provides a great beach day with white sandy beaches and brilliant turquoise waters. This beach area used to be difficult to get to, until the National Trust put in a brand new toll road to make access much easier. This beach has excellent surfing and swimming conditions and a café for refreshment time. For those who like more action on their holiday, there are plenty of nearby attractions in the Cornwall area to enjoy. The Goonhilly Visitor Center in Helston is the largest satellite receiving location in the world, and also hosts a café, gift shop and play areas for the kids. The Trebah Gardens in Mawnan Smith offer year round color with glorious gardens that wind down a path to a secluded beach. This attraction also offers a café, gallery shop and garden shop. 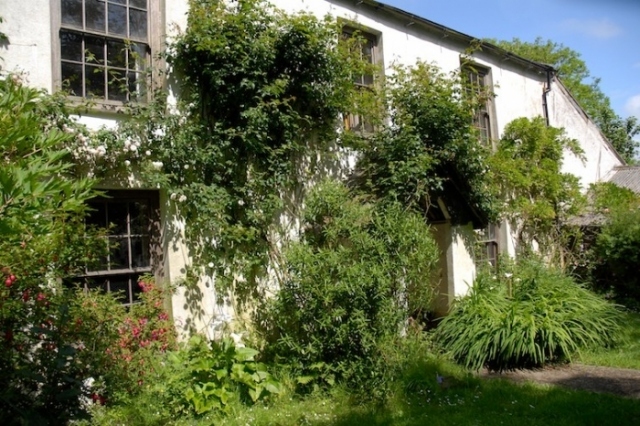 The Trevarno Country Estate and Gardens is another lovely place to spend an afternoon surrounded by fabulous vegetation and wildlife. 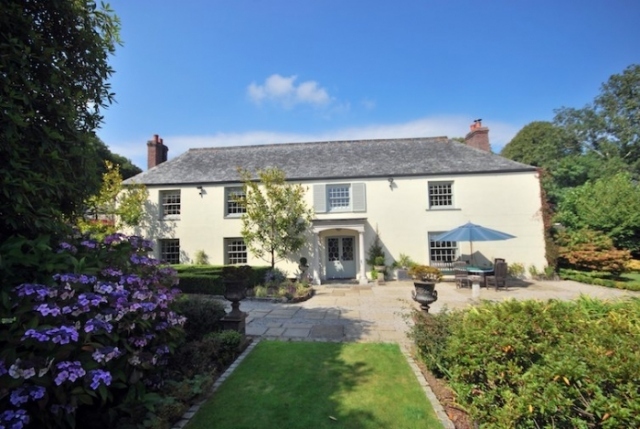 With more than one museum, a conservatory and garden shops available on this property as well, there truly is something for everyone at this Cornwall holiday hot spot. The National Seal Sanctuary in the Helford Estuary is the home to many rescued seals. Some are sent back into the wild, and those that could not survive in their natural habitat remain permanent guests of the sanctuary. Other animals, like ponies, goats and otters can also be seen here. The Flambards Experience in Helston provided thrills, rides and entertainment for everyone, which is why it is one of the most popular holiday spots in the Cornwall area. This amusement park offers rides for all ages, entertainment and exhibits, making it the ideal family holiday destination. The Lizard peninsula may be unique to the rest of Britain, but that simply means one-of-a-kind beauty and charm to those who choose to enjoy their holiday here. If you are considering a holiday to this southern destination, check with your travel agent to find the best accommodations for you. Whether you prefer hotels, bed and breakfasts or self catering cottages, you will find the perfect place to stay and enjoy this remarkable landscape. Housel Bay Hotel, Mullion Cove Hotel, Polurrian Hotel, and The Marina Hotel, are amongst the best hotels in this region. Parc Brawse House, Pennmenner House, Atlantic House, Carmelin, The Haven, Landewednack House, and Parc-An-Grouse will give you a taste of the famed Cornish hospitality. 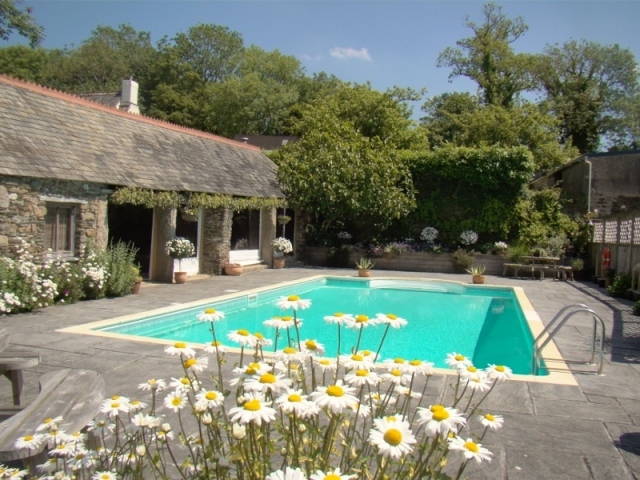 Tanglewood Cottage, Twinbrook Chalets, Caunce Head, Hopcroft Farmhouse, Little Trenoweth, and Parc Brawse Cottage, are few of the cosy cottages which will happily welcome you. You can rent-out clean and comfy caravans from Gwendreath Farm Holiday Park, Lower Pollerdras Touring Park, Silver Sands Holiday Park, Twinbrook Park, Weststar Holiday Park and Chinhalls Parc. 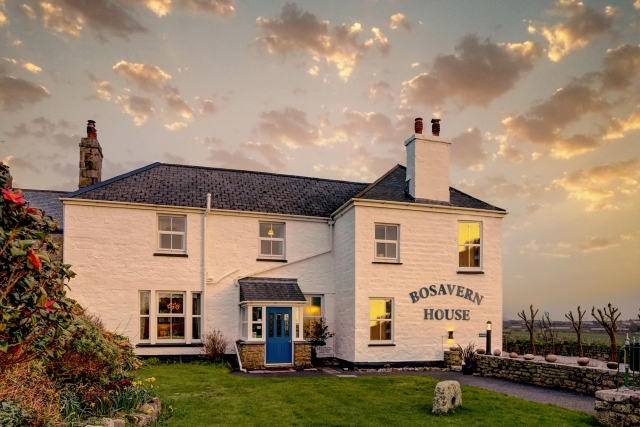 At Wheel Inn, New Yard Restaurant, Housel-View Restaurant, High-Point Restaurant, Trengilly Wartha, Greenhouse Restaurant, Smugglers Fish-n-Chips, Tophouse and White Hart, you can tuck in to some scrumptious local recipes and a mug of chilled beer. The secluded land of The Lizard is one of Natures magnificent treasures. Do visit it, youll cherish the experience forever.. Located at the utmost southern tip of Great Britain, Lizard Point is known for its serpentine stone, which is a rare dark green metamorphic rock. Besides craft stores, galleries and souvenir shops, a certain part of the Lizard Peninsula, Cornwall has a few scuba diving schools. 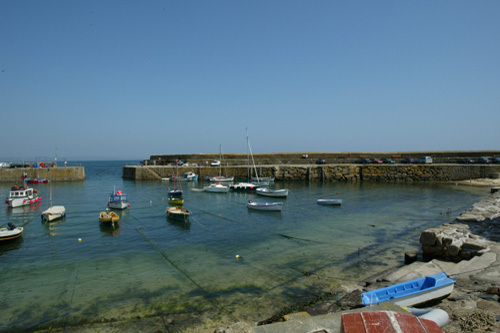 Visitors can drench in any of the lovely beaches or indulge in adventurous water sports such as windsurfing at Coverack. Glimpses of friendly dolphins, which swim close to the shores of the Lizard Peninsula, will surely be a treat to unsuspecting visitors. 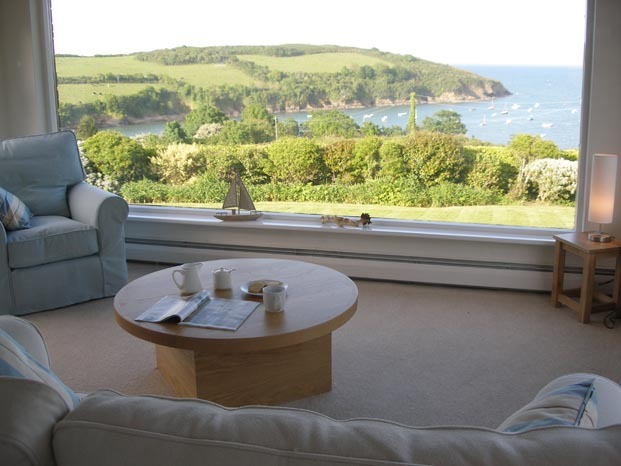 This peninsula is also home to numerous attractive coves like Mullion and Cadgwith. In addition to all this Cornwall is also a proud owner of the largest satellite-tracking establishment in Europe. So, Lizard Point will thrill you with its many facets.